Begin Again Seminar/Retreat – The Life of Ven. Bruno Lanteri and a Spiritual Program for Life with Fr. Timothy Gallagher O.M.V. The retreat/seminar officially begins on Thursday, March 7, at 10 a.m. It concludes on Sunday, March 10 at 12 noon. Ven. 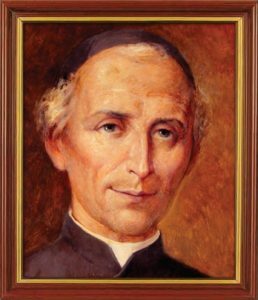 Lanteri preached and wrote about the infinite Mercy of the Father manifested in Jesus Christ. But more than that, he lived it in his everyday life, as he taught the Oblates to do. Through Reconciliation and spiritual direction, he connected with people along their personal journey to knowing God’s mercy. The seminar is addressed to those who wish to live in an atmosphere of fraternity and evangelical simplicity for a time of study, prayer, and social interaction, learning how to integrate Christian spirituality with their engagement with the world. The sessions comprise of an initial lecture, individual silent reading on selected texts, small-group discussion and big group sharing then synthesis. The directors of the seminar initially will present the texts, and the group coordinators will guide the discussions. The celebration of the Holy Eucharist will be offered daily. Reconciliation will be available, as well as times of Eucharistic Adoration. Seminar Director: Fr. Timothy Gallagher, O.M.V. Father Timothy M. Gallagher, O.M.V., was ordained in 1979 as a member of the Oblates of the Virgin Mary, a religious community dedicated to retreats and spiritual formation according to the Spiritual Exercises of St. Ignatius. 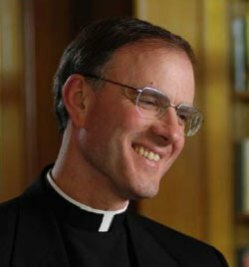 Having obtained his doctorate in 1983 from the Gregorian University, he has taught (St. John’s Seminary, Brighton, MA; Our Lady of Grace Seminary Residence, Boston, MA), assisted in formation work, and served two terms as provincial in his own community. He has dedicated many years to an extensive international ministry of retreats, spiritual direction, and teaching about the spiritual life. He is a frequent speaker on EWTN, and his digitally recorded talks are utilized internationally. He currently holds the St. Ignatius Chair for Spiritual Formation at St. John Vianney Theological Seminary in Denver. please plan on arriving sometime on Wednesday, March 6, 2019.
will be held for our group at the Retreat Center at 5:30 p.m that evening. the Retreat Center due to your early arrival. if you wish our help with transportation to the Retreat Center. Contact Patty at [email protected] for details.